Below you will find information on three passive fundraising efforts that PPPA has set-up and information on how you can get involved and help. PLEASE read through the different program details and if you have any questions or additional ideas, contact Alia Rieker at alia0220@yahoo.com or 719-360-9447. **Passive fundraising means that PPPA can gain from money you are already spending as you enroll in these programs. 5% of every dollar loaded onto the reloadable gift cards comes back to PPPA! 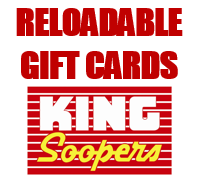 Purchase a King Soopers reloadable gift card for $2.50 from Alia Rieker (alia0220@yahoo.com or 719-360-9447) and not only will you get your $2.50 back to spend, but as you add money to your card, PPPA will receive 5% of every dollar loaded on to your card. Ask your family and friends to participate on our behalf to benefit PPPA. You can load your card before you shop at the Customer Service desk or at the register just before you go through check-out. Only the cards sold through PPPA are registered to give credit back to PPPA – so you must purchase one from Jeff Norton, PPPA President. Click here for more information on this great program to benefit PPPA! Shop online on Amazon? Switch to AmazonSmile and PPPA will receive a small percent of every transaction! It adds up! PPPA is now enrolled in the AmazonSmile program. AmazonSmile is a website operated by Amazon with the same shopping features as on Amazon.com. 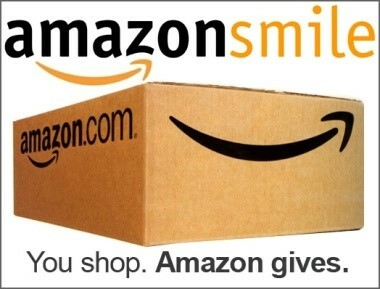 Go to smile.amazon.com and select Pikes Peak Pickleball Association from the list as your designated charity. Once you select PPPA, 0.5% of the price of your eligible AmazonSmile purchase will be donated to PPPA. Spread the word to family and friends for them to designate PPPA as their charitable organization on AmazonSmile too! In order for PPPA to receive funds from your purchases, you must always go through smile.amazon.com when preparing to shop online. Save 5% and 5% comes back to PPPA in annual Pickleball Central gift card! Pickleball is most fun when played with a group. There are hundreds of local pickleball clubs popping up across the country. We want these clubs to grow and multiply, so we’ve created a program called ClubRewards. ClubRewards gives members of local pickleball clubs a 5% discount on everything they purchase from PickleballCentral.com and an additional 5% of the purchase price goes back to their local pickleball club in the form of an annual gift card. For YOU - ClubRewards members receive 5% off everything they purchase from PickleballCentral.com. When checking out, simply type in your club’s unique discount code (for PPPA it is CRPikes) in the coupon code box, hit the “apply” button and you’ll see 5% of the bill disappear! For YOUR CLUB – every time a member uses your club’s discount code, 5% of their purchase goes into the club’s “kitty” or Reward Account. In February 0f 2018 we’ll send the club representative a gift card for the value of whatever is in the club’s Reward Account from the preceding year. The gift card can be used toward the purchase of anything we sell. Please contact Pickleball Central with any questions at (888) 854-0163.